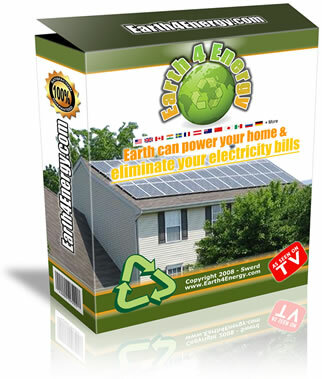 Home/Energy Efficient/How Big Should Your Home Solar Power System Be? All of the electrical items in your household have an associated wattage. For example, light bulbs may pull either 15 watts, 20 watts, or more. Each time an electrical device is switched on, it pulls the associated number of watts directly from the energy source. To understand the total energy load, it is necessary to calculate for each electrical device in your home, the wattage and the average time each device is used per day. This will include all your everyday electrical devices, including those running in the background. For example, lighting, home cinema systems, power tools, refrigerators, washing machines and microwaves will all draw energy. To determine you average energy use each day, you can check your power bill each month and divide this by the total number of days in that month. It is also worth averaging your energy usage over several months, particularly between different seasons. Your energy usage will be markedly different in winter months compared to your energy usage in summer months, a factor which will also depend on your heating and cooling requirements or preferences. When you are calculating electricity consumption for all your devices, be sure to multiply the wattage of individual devices against the number of hours each device is typically used each day. In cases where no wattage is listed for an appliance, it is possible to multiply the amperes by volts to work out the actual power consumption instead. However, in most cases you will find the wattage is listed, usually on a sticker, the power cord, the manual or on another part of the device itself. A device with a selectable load is one that only pulls energy from the source when energy is needed on demand. For example, a hair dryer only pulls energy when switched on. Compare this to a refrigerator that is switched on all the time, and therefore pulls energy constantly. Using a selectable load device means the energy usage is under your control, only when you use it. However, when thinking about renewable energy, it is usually necessary for extra energy storage to be available to accommodate such on-demand energy usage patterns. If we consider solar power systems, it would be wise to consider how to collect and store energy over time, for example in batteries, ready for use when needed. Later, when using a device with selected load, energy could be pulled from this battery instead of the central energy grid. Such a set-up would work best faced with renewable energy sources and the availability of a back-up source. Understanding your daily power consumption needs in your home or building will allow you to select the optimal renewable energy system that can accommodate your needs. It is worth noting whereas some renewable systems can potentially power your home throughout an entire year, others work best as a hybrid solution, partially generating power in conjunction with other energy sources. Working out your own energy needs today, will allow you to deploy lasting renewable solutions tomorrow.